Nothing gets the ire of travelers up more than when their beloved pets are subject to unfair treatmentâ€¦ and fees by the hospitality industry are considered callous indeed. Nothing gets the ire of travelers up more than when their beloved pets are subject to unfair treatment… and fees by the hospitality industry are considered callous indeed. That is why Robin Boggs, an Atlanta consultant, jams her pet chihuahua in her carry on bag rather than pay the pet fee. She’s been caught twice and fined $150.00, but that doesn’t deter her because she just thinks the pet fees are another airline grab at her purse. She may not be wrong. Airline fees for traveling with a pet in coach run about $250.00. Adding insult to injury, the pet must fit under the forward seat and stay there throughout the flight. Pet owners don’t like being dishonest, but they’re furious that airline pet fees are often higher than what humans pay for their tickets, and hotels are adding non-refundable deposits to guests sharing (inferior) their rooms with their creatures. Of course the hotels and airlines have a different take. While they’re concerned with the damage dogs and cats may do to a room, their biggest issue is guests who can become deathly ill if they’re allergic to dander and fur. The attitude is puzzling. The pet-owning public spends 45 billion dollars on their furry friends, so why not coddle the them, and build customer loyalty? Wisely Best Western’s are marketing themselves as “pet friendly” with pet travel tips, fun photographs, and properties that accept pets more or less happily. The airlines for their part say they are not in the pet transportation business, so they’re trying to discourage people from traveling with them. But no matter what they say, travelers are convinced airline actions are simply a continuous grab for more revenue. 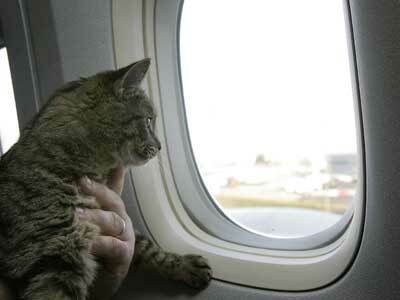 For now pet lovers can fly Pet Airways which at least treats your pet like the human she is. Do you think pets should pay a fee? Next Article Next Article How Safe Is Your Airline?